In 1946, Bob and Mary Pritchard began making sweaters in a garage near their home in Kitchener, Ontario. They used a knitting machine Bob had purchased while serving with the Royal Canadian Air Force during the War. 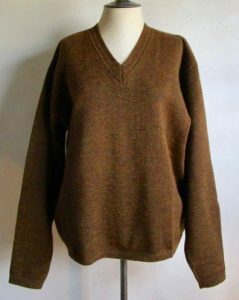 The company was officially called Keith-Day Knitwear Limited (Keith, Day, and Tony were relatives of the Pritchards), although they were best known by their product line – Tony Day Sweaters. The company grew and was soon located in the upstairs of a building at 75 Queen Street South in Kitchener. In 1954, the Pritchards sold their company to Richard Wurtele and the company moved to 210 Regina Street North in Waterloo, Ontario. 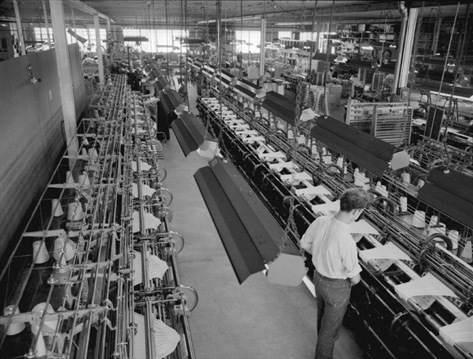 According to a 1956 company profile, there was a staff of 136 who worked with 17 knitting machines to produce 6,000 sweaters weekly. Tony Day sweaters were typical pullovers and ‘Perry Como’ style cardigans, often made up in bright colours in a washable wool/Orlon yarn. The sweaters were sewn together from cut pieces with serged edges, rather than the more labour intensive method of using pieces knitted to shape. 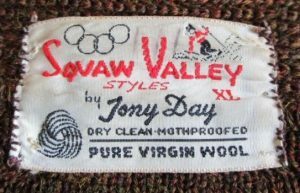 Although Keith-Day was a successful brand that employed about 300 people by the 1960s, the company couldn’t compete with lower priced imported sweaters. Peter Wurtele, who had inherited the company from his father Richard, was general manager in 1970 when he made the decision to halt operations.